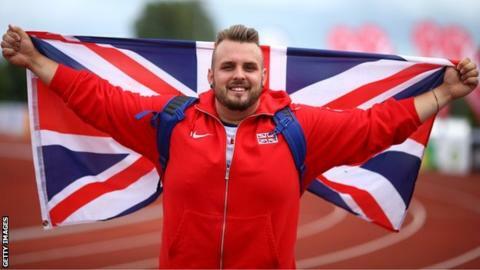 Aled Sion Davies won his second gold of the IPC European Championships on the final day in Swansea. Davies threw 46.46m to take the F42 discus title while shot putter Kyron Duke took silver in the F41 event behind Poland's Bartosz Tyszkowski. And Jenny McLoughlin and Olivia Breen helped Team GB's T35-38 4x100m team win relay silver behind the Russian Federation. Nathan Stephens and Beverley Jones earlier missed out on discus medals. Stephens threw two metres less than his season's best in a F57 competition which was won by Russia's Alexey Shapatov. The Welshman had also finished fourth in the F57 javelin earlier in the week. Jones finished fourth in the women's F38 discus final, which was won by Viktorya Yasevych of the Ukraine. Davies won the F42 shot put on Thursday, contributing to a tally of 13 medals - made up of his golds, two silvers and seven bronze - from Welsh competitors among GB's 52 podium finishes.